I think that for history purpose, JochenKauz just mentioned he moved your initial topic to the proper forum section, as you initial topic was posted here which in not the most appropriate place in the CrewRKTablets forum section. Hope it clarifies. admin was right, it was only to make the forum more readable that I moved your topic in this forum section, cause it is related to CustomRom development. and searched in the folders for the keyboard. # Generic key layout file for full alphabetic US English PC style external keyboards. # This file is intentionally very generic and is intended to support a broad rang of keyboards. # a new key layout file with the required keyboard configuration. Again any ideas, dear experts? You need to flash the CWM recovery (the recovery.img from the CM10.1 pack). For the keyboard: I've already checked, what is in der stock firmware. But nothing. No kernel module, no vendor firmware, no keylayouts. A miracle. In another forum I read something about legacy hardware!? Sorry, as I mentioned bevor: I'm a rookie! But one question about programming: How can I convert the source code of the stock firmware? What development tool, converter, debugger or what do I need? And how can I compare the recovery flashfiles to the flashfiles generated with the Debugger? in this folder there is in the file 'common' a description of a QWERTY- keyboard. I'm trying this with my i-onik TP10.1-1500DC-metal. I downloaded the CrewRKTablets_RK30_Genio by Oma_CM10.1_v1.3.5.7z, unpacked that and replaced the kernel.img with the stock one from the file RK30_kernel_308_tp10.1_1500dc_metal_ionik.7z. 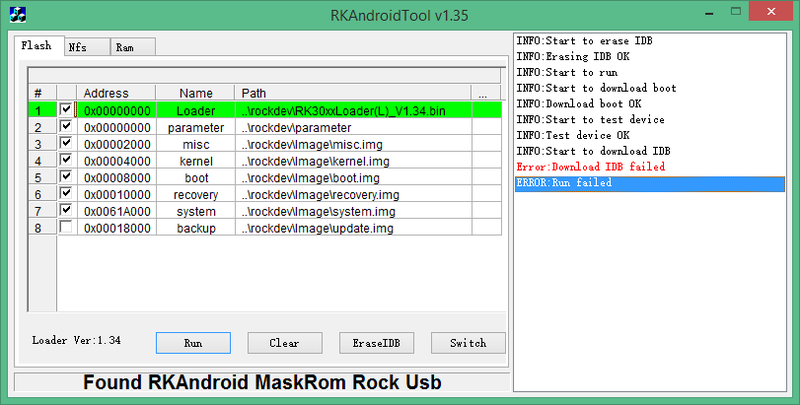 As I open RKAndroidTool c1.3.5 it says "Found RKAndroid MaskRom Rock Usb". I can also do the EraseIDB successfully, but when I click "Run" it downloads boot OK then proceeds to Test Device which is also OK. But then it says "Start to download IDB" and I get "Error: Download IDB failed" and "ERROR: Run failed". Any pointers on what I can try next. The tablet is shaky, I can sometimes get it to show the android robot, but never boot into the os. Is it bricked completely? With my TP 10.1 1500DC-KB the Version 1.3.5 didn't run. Try the Version 1.3.4. Try a clean flash (first EraseIDB) again with that whole stuff... It is not bricked, I think. Try pressing Volumen+ button and Usb-Connection to boot in Flashmode! I have installed the firmware - CM 10.1 on rk30board. After reboot I Have black screen. as far as I can tell, it really is a problem with your kernel. If you replaced the kernel included with the CM 10.1 1.3.4 build with either the metal or darkgray metal versions of the tp10.1-1500, the black screen is likely caused by the wrong display driver(they use a 1280x800 panel, rather than the 1024x600 Panel from the keyboard version). if it isn't recognized after recharging it, try reinstalling the drivers. After that, force shutdown the tablet(as it may or may not be in another boot state). While the Tablet is off, hold the Volume + button and plug in the usb cable while still holding volume+ wait until a device connection sound is played. Your Tablet should now appear in the flash tool. And while we are at it: If you did do a complete backup of the stock rom, could you provide me your system.img(the complete stock system.img is roughly 940 MB large)? I'll upload my kernel, as soon as I'm home, so you can try if this works for you. the driver for the keyboard is compiled into the kernel, so you couldn't find it in the android sources. As stated above the keyboard is softswitched through the battery menu in the settings. 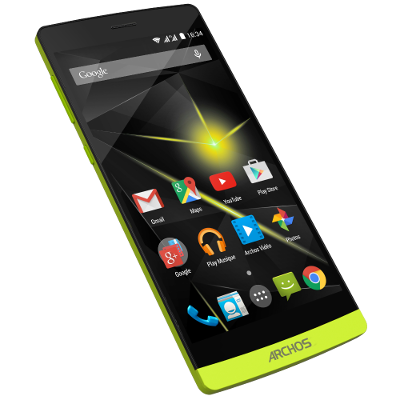 It utilizes both an interface to JBSService.apk and libjbs, which interfaces with the Keyboard. The keyboard will cease any input, but the powerbutton, while it is switched off. It seems that the keyboard is initialized some time during boot on compatible firmwares( stock rom and airis transbook tra01 stock rom, and possibly even the airis exilis N1300 stock roms). This step is missing in both AOSP 4.2 and CM10.1 roms, as they were built for a larger palette of Rockchip devices, which don't usually have hardware keyboards. I can provide you with the necessary files, as soon, as I'm home. Here is the kernel for the Tablet. Note: it's possible that it won't work with this kernel, since it is padded to 8mb(original kernel is about 6.7mb) If it does not work, I'll extract the non padded version from the boot partition as well. Edit: I used the stock recovery you provide on the hp crewrktablets!